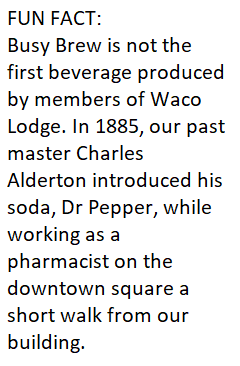 For years, Waco Masonic Lodge has operated the Coffee Shop in the Masonic Grand Lodge of Texas during its annual convention. 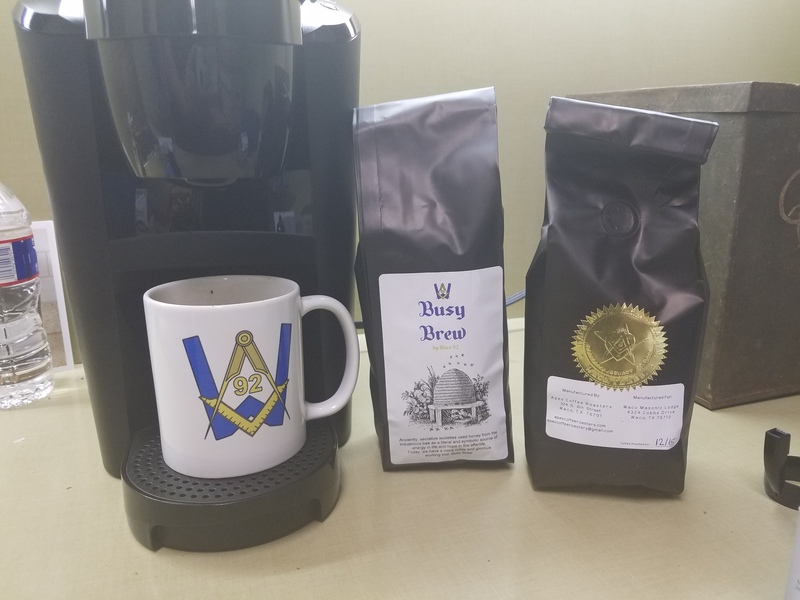 In 2017, the officers of Waco Masonic Lodge collaborated to develop a coffee of our very own to serve at Grand Lodge. On August 21, while the Moon blottted out the Sun during the eclipse, our coffee, Busy Brew, was born at Apex Coffee Roasters downtown near where our lodge had its first meeting in 1851. 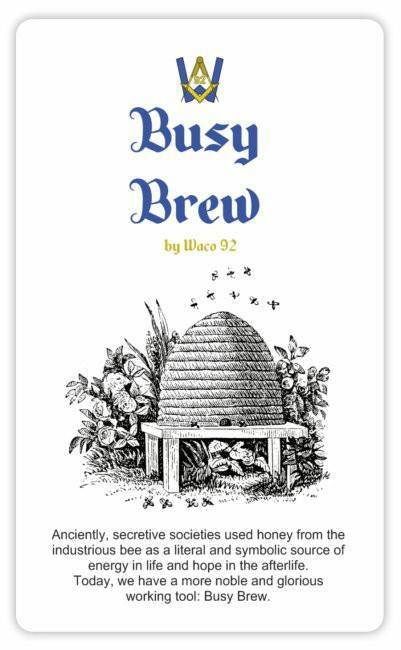 Busy Brew is a high-quality single-source coffee farmed in Colombia, roasted in downtown Waco, and packaged at Waco Masonic Lodge. It is a flavorful and energizing beverage for busy men and women. Thus, the beehive has been used all throughout our fraternity to symbolize industriousness and the sweet results of one’s labors. Teamwork, subservience where appropriate, and a consistent dedication to the work at hand are all essential to the freemason, and indeed, to all humanity. Today, we know that honey is, as the Egyptians thought, antibacterial and contains numerous vitamins and minerals as well as unique qualities specific to each honey’s regional source. In modern society, coffee is much more often thought of as the fuel for a busy person much in the same way that the Egyptians and Greeks thought of honey so why not combine both the industrious elixir of the ancients with the enlivening beverage of modernity? Recent studies even suggest that the combination of a spoonful of honey with a cup of coffee makes a better cough remedy than common cough medicines. You can order a bag to be shipped to your home by scrolling down at our online store here or by visiting the lodge any Thursday between 9am and 7pm to get it in person. It is best to use filtered or bottled water. Use 8 spoonfuls of coffee for every 6 cups of water. If you opted for the whole bean option, wait to grind your beans until as close to brewing time as possible(for a more fresh and bold taste). If you have used a different coffee in your pot, consider cleaning it before adding Busy Brew.